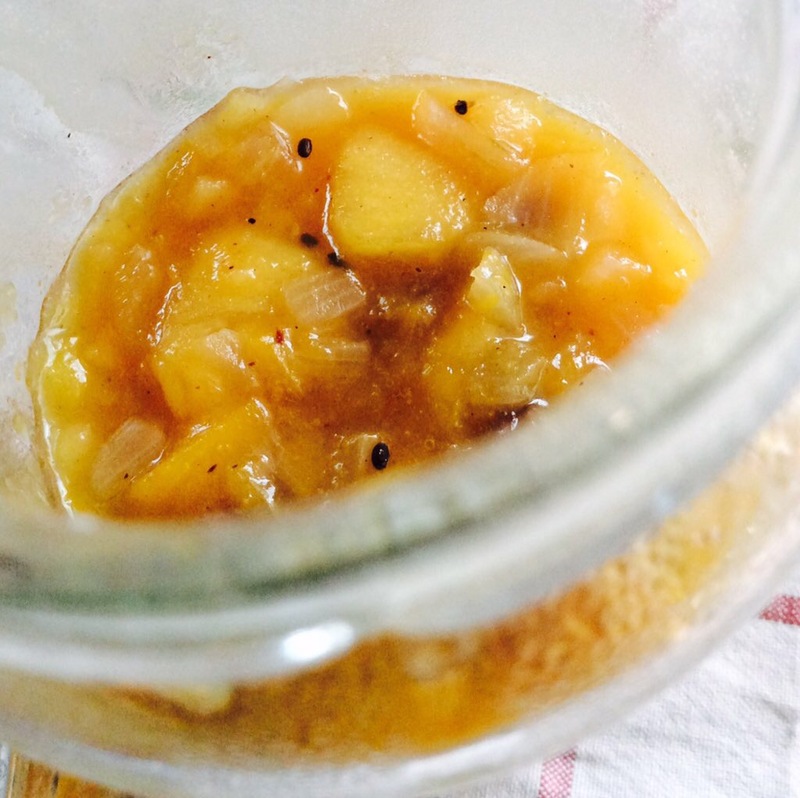 Combine the apple, mango, chili, sugar, lemon juice, onion, raisins, vinegar, cinnamon and ginger in a large saucepan. Bring to a boil over high heat, reduce heat, and boil gently, uncovered, for 20 minutes or until fruit is tender and mixture is thickened, stirring occasionally. Add nutmeg boil gently for 5 minutes. 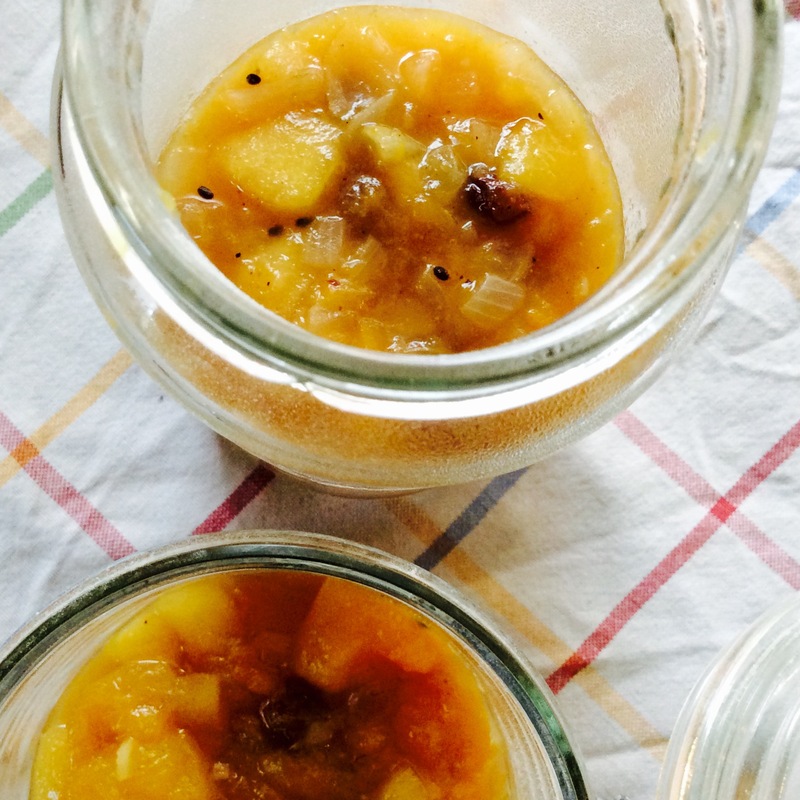 remove hot jars from boiling water (15 min) and ladle chutney into jars to within 1 cm of rim.